This level is again hard and have 21 jellies that are in meringue blocks that is hard to break due to complicated candy board. First try to break meringue blocks and then play more from bottom of the board. Make special candies as much as you can and try combine with other special candy or any normal candy by balancing the Odus ow then use any booster that you need to reach requirement in the end. 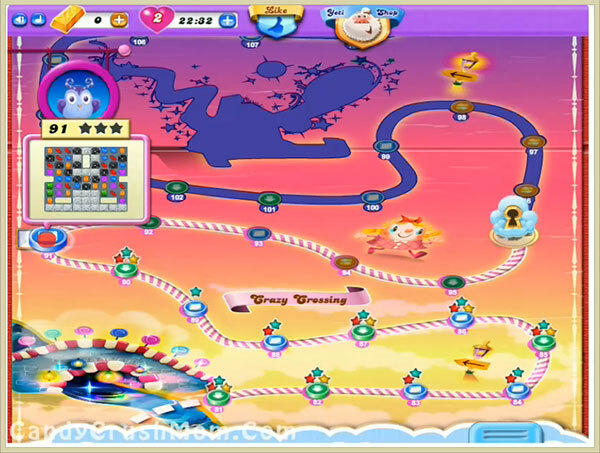 We completed this level with 191360 score by using three colorbomb plus some other special candies and use hand tool to reach requirement.